The Coil Master DIY Kit Mini V2 is the simplest version of DIY Kit. The DIY Kit Mini V2 Case is made from ABS material which has the advantages of corrosion resistance and high-temperature resistance. All tools are made of high-quality metals and high-temperature-resistant plastic materials, and well organized in a solid carry case. 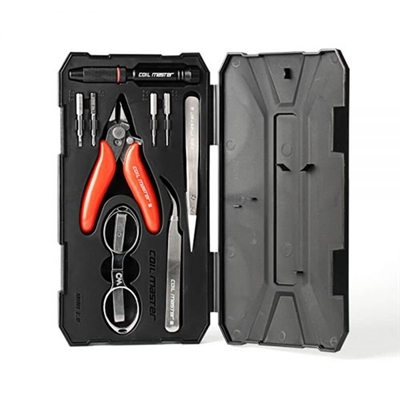 The new designed multi-functional screwdriver kit can also be used as coil winder.